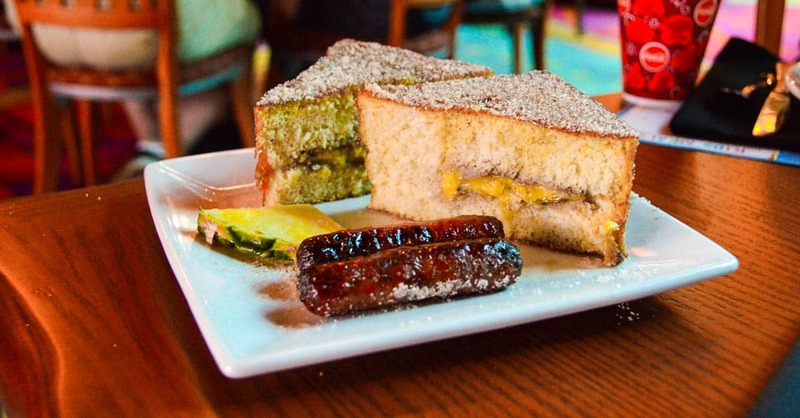 You can cross this iconic breakfast food off your bucket list at Kona Café inside Disney’s Polynesian Village Resort. It’s the most delicious take on French toast you’ve ever tried—banana-stuffed French toast rolled in cinnamon sugar, served with strawberry compote. It comes with your choice of breakfast meat—spiced ham, sausage or bacon.